I love looking at blogs and reading about all of the wedding trends and seeing so many talented professionals in the industry, but I also love to peruse real brides blogs as well. 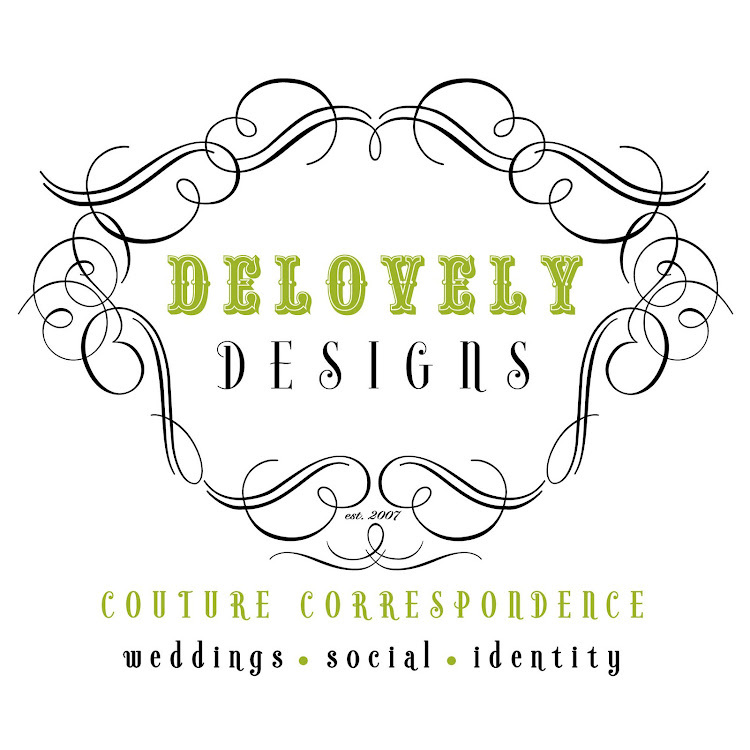 With this in mind, I will be adding a new Real Brides blogroll to the Delovely blog and would love to include any brides that are interested in being a part of this new feature on my site. Please feel free to leave a comment with your blog address and I will add you to my blogroll. Also, if you have any recommendations of other fantastic blogs in general, feel free to drop me a line as well. Wedding related or not, I always love to check out new blogs and would love to hear about your favorites too! I just started my blog earlier this month, but feel free to check it out. I am not keeping it entirely wedding related, but it's definitely a focus. Love your designs! I just found your blog tonight - wanted to tell you I love love love your logo. Hi, I love the look and the inviting feel of your blog.Its Beautiful! If you are interested in reading about cookies,cakes, and all sorts of delights.. come over to Catering 2 Your Tummy when you get a chance, its in transition from an at home passion to a full cake shop. I absolutely love the look and feel of your blog. (Who doesn't love damask!? And damask and green...you're killing me! Love it!) Anyway, I just stumbled across your work this evening and fell in love. Your monograms are so gorgeous and your designs are so original. Keep 'em coming! Not sure if my blog is all that exciting but thought you might want to add it to your real bride bloglist. I enjoy looking at your designs for inspiration! Thanks for all of your wonderful comments and for sharing your blogs!